There’s two groups of people who I think know more about cars than nearly any other: the people who work at the Lane Motor Museum and the collective, moist hive mind that is the Jalopnik readership. Incredibly, one of these groups has found something that’s stumping it, and I’m hoping the other group can help. I think you’ll know what group you’re in. 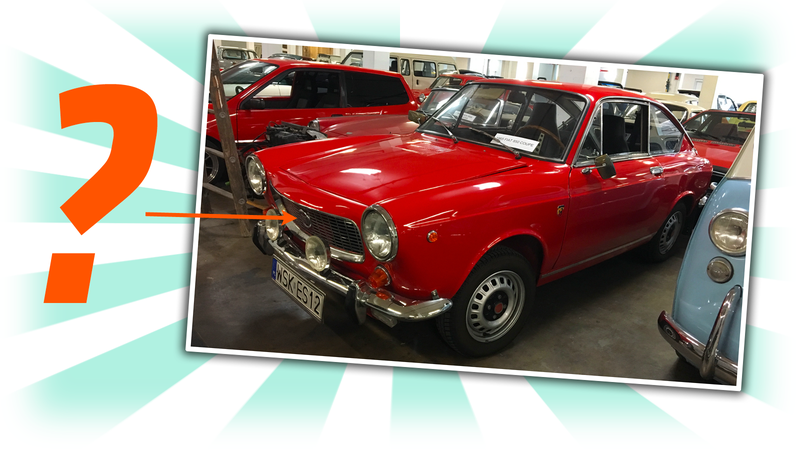 Here’s the deal: recently, the Lane acquired a 1965 Fiat 850 Sport. The Fiat 850 is a charming little car, but it’s not particularly mysterious. You know, unless the headliner bleeds or something, which doesn’t seem to be the case. No, what’s weird here is that everything seems to be backwards. See the difference? The Lane’s has a grille on the front, and the usual 850 Sport, as you can see just in front of those two confused people looking off to the left, has no grille in the front, because it is a rear-engined, rear-drive car. The Lane’s new 850 Sport isn’t. In fact, it’s the exact opposite, with what appears to be the usual 843cc inline-four up front, mounted transversely, driving the front wheels. Now, a car that’s been extensively modified isn’t unusual; what’s strange here is just how damn good a job this conversion is. This does not appear to be the work of some determined backyard FWD fetishist, the quality of workmanship and the engineering that seems to be displayed here looks almost factory good. Of course, the Lane has contacted Fiat, and Fiat told them that all they know is that the little 850 Sport did not leave their factory like that. This conversion seems to have been done after the fact. The question remains: who did this? Why did they do it? How did they do it so well? They even turned the old rear engine compartment into a remarkably well-finished trunk and everything. So, if anyone out there knows the story behind this odd little Fiat, our pals at the Lane would love to know more. If it helps, the car was acquired from Poland. I’m not sure if Fiat’s own search included Polski-Fiat records, but, if not, that’s the next place to look. Also, it has a Simca steering wheel. As always with things like this, I have a sort of irrational faith that someone out there will come through. The Jalopnik collective is an impressive beast.